On the basis of recent developments in constructivism and social constructionism, the authors propose an approach that takes self-recursiveness seriously: Meta-dialogue, an extension of reflecting teams and reflecting positions. 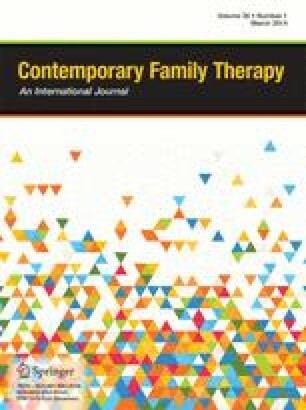 The authors see therapists as experts in interviewing (questioning, asking, and reflecting) and clients as experts for their different domains (their lives). Thus, the authors see it as crucial to express basic respect to the people who come to consult them in a cooperative way in order to enlarge the options of all the people taking part in the interview. The structure of meta-dialogue is described in detail and illustrated with a case example. We would like to thank Amanda Gorman (Kiel) for her sensitive help with the translation.